Well, it wasn’t an April Fools joke after all folks. 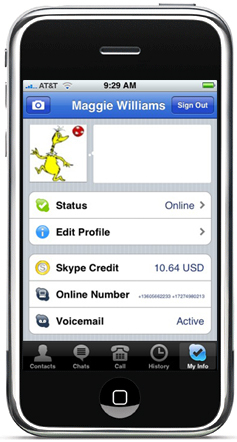 Skype is indeed available for the iPhone and the iPod touch. I was up late again last night and at about 12:30 this morning, I thought I’d check out the app store at iTunes to see if Skype was available yet and much to my surprise, it was. After a quick download and install, it came right up. Only problem was I couldn’t call anyone at this hour. Oh well. I did try the Skype test call and it worked very well. So I started calling people at 8:00 this morning. I called David’s iPhone number and the call quality was quite good. He went off to download Skype and in the meantime, I called Tom on his iPhone, again the quality was good. While I was talking to Tom, David called me, but it went straight to voice mail. I didn’t get any sort of call waiting notification, so be aware of that. Although I cannot initiate a conference call, I was able to accept an incoming call and be joined to a conference call in progress. 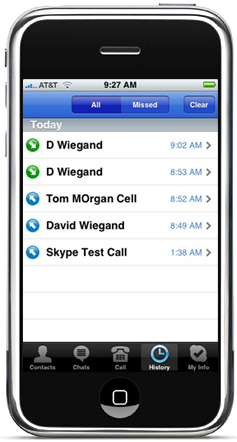 I like that the Skype contact list incorporates all of my iPhone contacts as well. 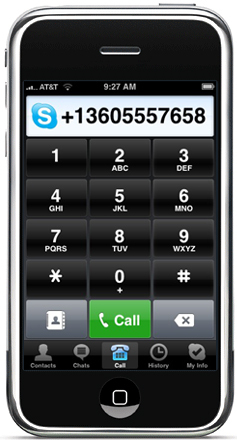 Skype on the iPhone apparently does not work in the background. When I leave the application by pressing the menu button, Skype signs out. 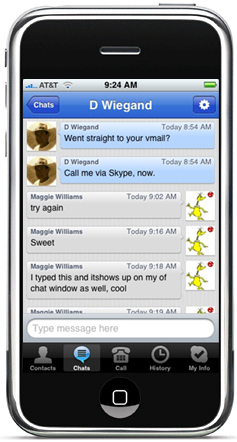 Chat works nicely although I don’t see how to initiate a three way chat. I haven’t tried participating in a three way chat yet. 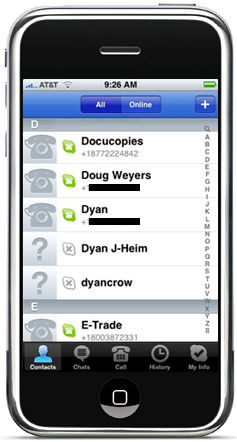 The GUI is very iPhone like; intuitive, comfortable and responsive. All in all, I recommend it. It’s a pretty good first showing for a long awaited app.